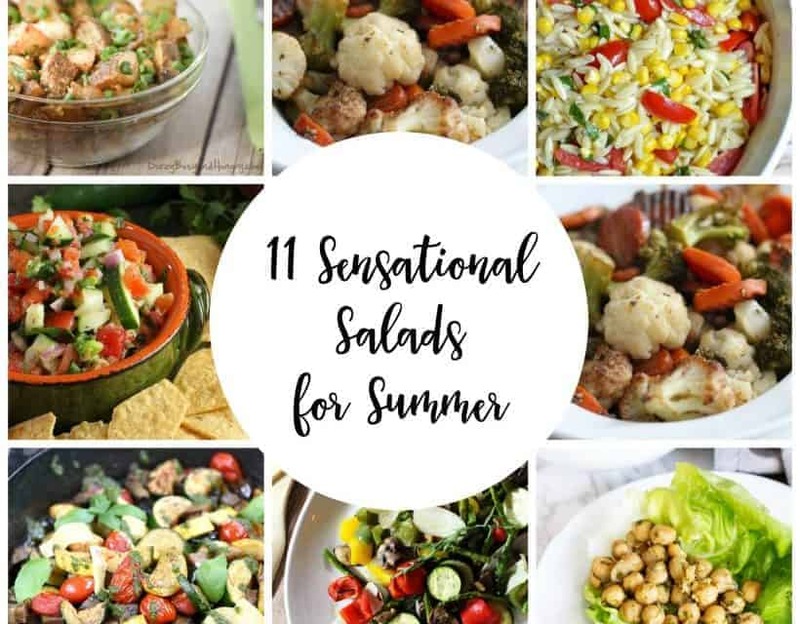 Enjoy the best of the season’s fresh fruits and vegetables with these 11 sensational salads for summer. 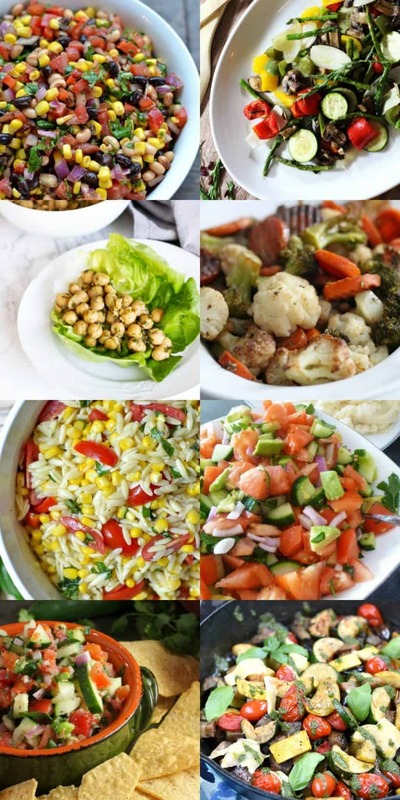 Sometimes when I go to the farmer’s market I am amazed at all of the fresh fruits and vegetables. 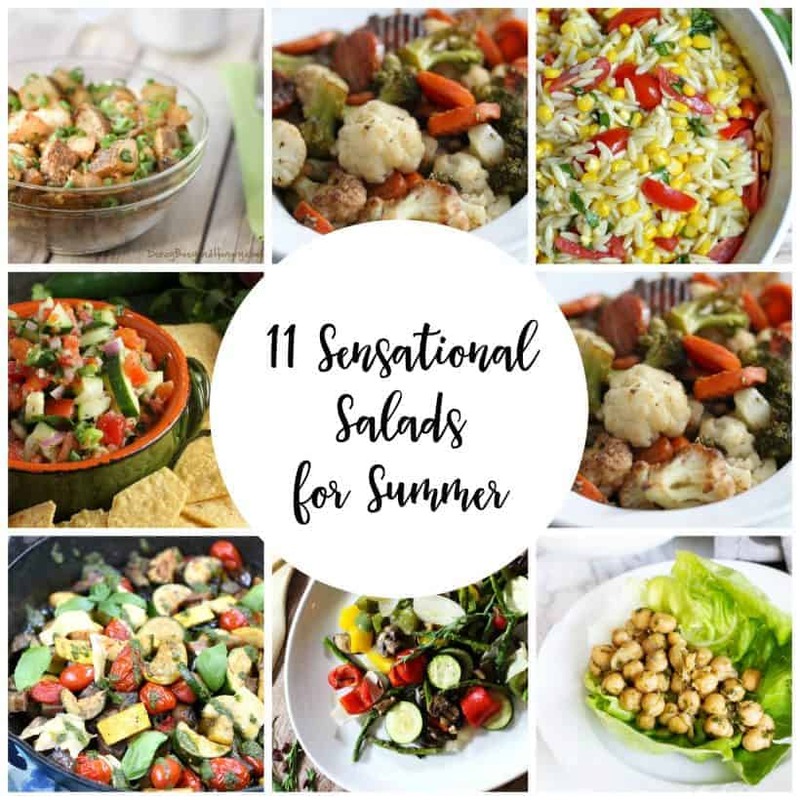 I usually end up leaving with bags filled with goodies and then when I get home, I’m not quite sure what to make but this roundup of 11 sensational salads for summer is a great place to get some inspiration.